I never made this connection before! I was teaching the kids about the resurrection yesterday. 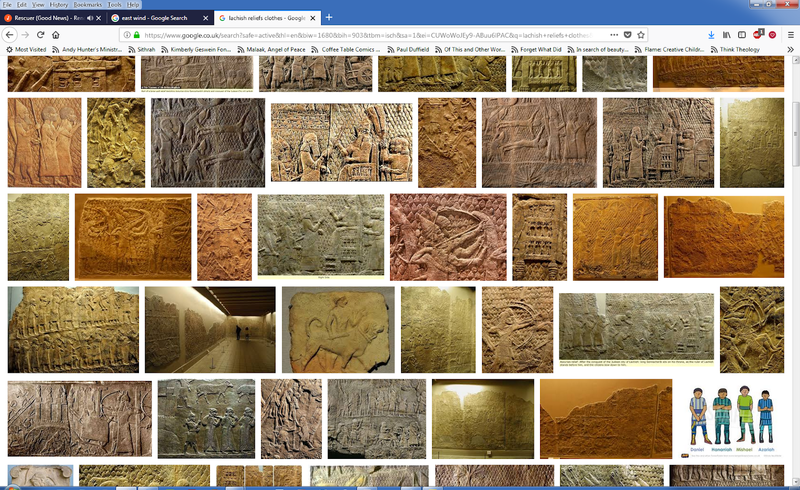 There was a lot in the lesson (The whole of John 20: Mary Magdalene, Peter & John, Thomas), so I wanted some kind of structure to hold it together - and also hold the children's interest, as the resurrection is very familiar to them. Our book started with discussing some surprising facts, which was a good lead-in. I pointed out that, while they knew what happened next, Jesus' friends didn't, and got them to try to imagine they were living back then. The only smiley faces in the packet were these ones with heart eyes! Whenever something surprising happened in the story, we held up the 'surprise!' side, and whenever someone believed we held up the 'believe' side. We were discussing the fact that babies have more bones than adults - which didn't seem to surprise the children. 7 year old: Babies are smaller, so there's more space for the bones. 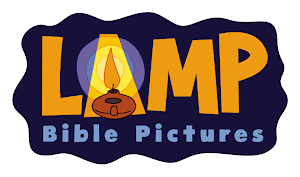 I've just implemented a new pricing structure for my Lamp Bible Pictures PowerPoints. Good news - most prices will stay the same or be lower. 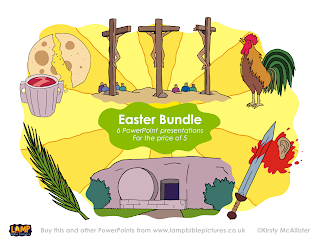 There will be one standard price for most* PowerPoints (currently £5). This makes more sense for you - every story, every week, every lesson, you know what it will cost. *A few extra long PowerPoints (e.g. 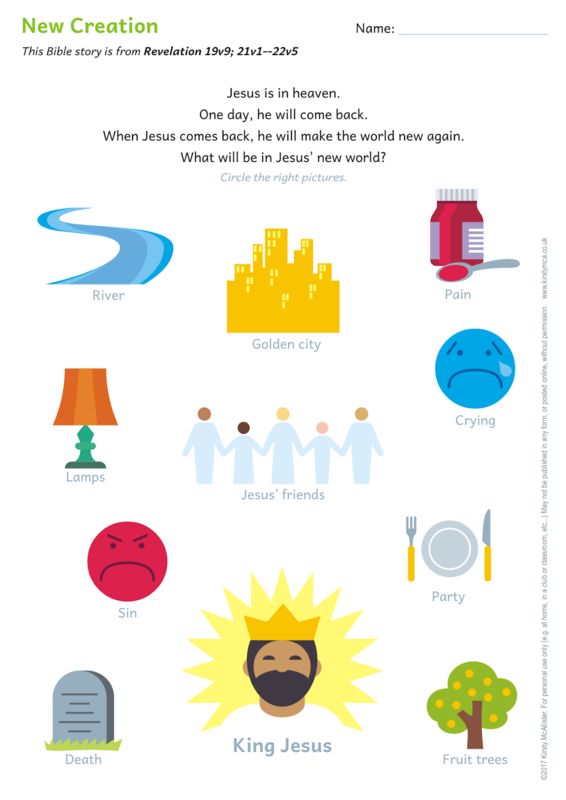 Noah and Christmas), which are likely to be used for two or more lessons, will cost more, and an occasional small extra (All Nations) will cost less. These will now all save you around 25%. These still cost £150, and will remain at this price until they include more than 50 stories each. Buying the bundle will give you access to all 50 stories - including the ones I haven't drawn yet. Your final saving will be around 40%. Once there are more than 50 PowerPoints in the bundle, those who have purchased these bundles at the current price will still be able to get a 40% discount on any future purchases they make. If you bought either the OT or NT bundle in the past, I will sort something fair out for you! Well, I hope that all makes sense! "Is he Worthy?" by Andrew Peterson. 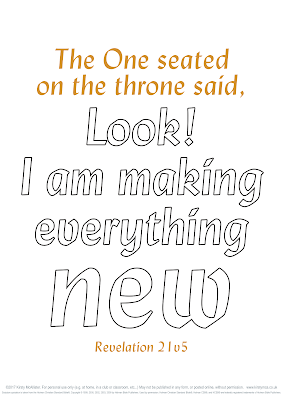 Based on Revelation 5. 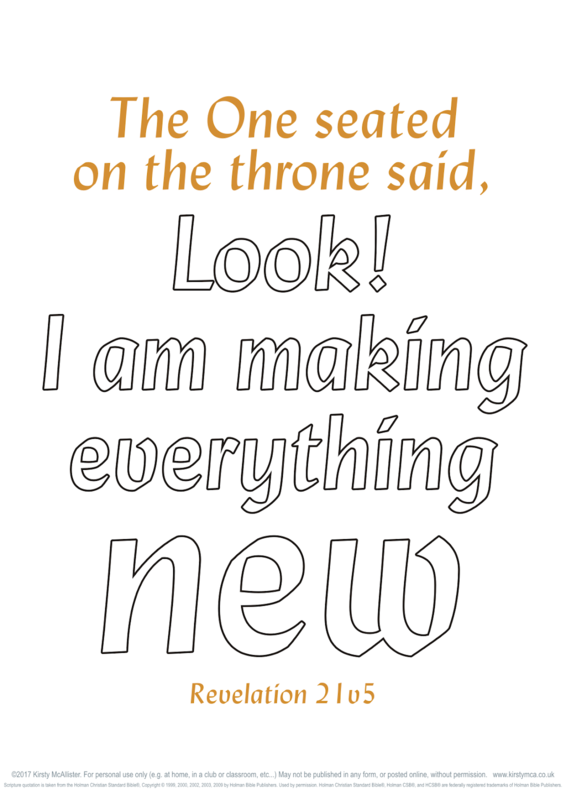 Do you wish that you could see it all made new? (We do)"
It's also a beautiful video, which was done in one take! Simon Peter answered him, ‘Lord, to whom shall we go? You have the words of eternal life. 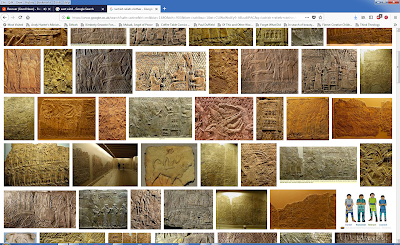 I did a Google image search for 'Lachish relief clothes', and one of my Daniel illustrations came up on row 6! Came across these I did for my Sunday School class last year for our New Creation lesson. Feel free to use them for non-commercial use. If you had time, this would be especially nice with glitter and/or star stickers. I have often seen it on menus and wondered what on earth it would be like (Also - Why?). 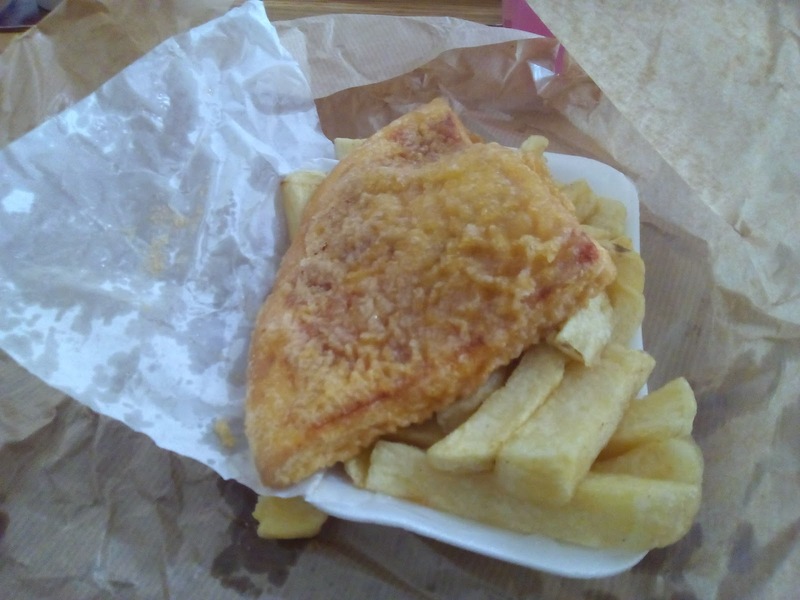 But when the people I clean for sent me out to get our lunch from the chip shop, and that was one of the things on offer I thought - Let's try it!